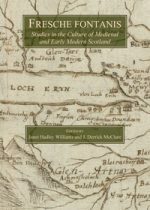 Fresche fontanis contains twenty-five studies presenting major new research by leading scholars in Scottish culture of the late fourteenth and fifteenth, sixteenth, and seventeenth centuries. The three-part collection includes essays on the prominent writers of the period: James I, Robert Henryson, William Dunbar, John Bellenden, David Lyndsay, John Stewart of Baldynneis, William Fowler, Alexander Montgomerie, Andrew Melville and Alexander Craig. 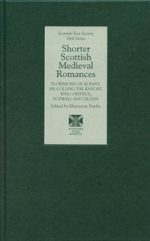 There are also essays on the Scottish romances Lancelot of the Laik, Gilbert Hay’s Buik of King Alexander the Conquerour, The Buik of Alexander, Golagros and Gawain, and the comedic Rauf Coilyear, and the Scottish fabliau The Freiris of Berwick. Chronicles of Fordun, Bower, Wyntoun and Bellenden receive fresh attention in essays concerning Margaret of Scotland, and imperial ideas during the reign of James V. Essays on anthologies, family books, and collaborative compilations make another notable group, providing in-depth analysis, with findings not previously reported, of The Book of the Dean of Lismore, the Maitland Quarto manuscript and The Delitiae Poetarum Scotorum. These studies are enlarged by others on key contextualizing topics, including noble and royal literary patronage, early Scottish printing, performance, spectatorship, and translation. Together they make a significant contribution to a full understanding of the continuities and shifts in cultural emphases during this most imaginatively productive period. Many of the poems and songs of Robert Burns (1759-96) are familiar to readers the world over: lyrical, acerbic, comic, bawdy, democratic. They include ‘To a Mouse’, ‘John Anderson my Jo’, ‘A red red Rose’, ‘Auld lang syne’, ‘Tam o ‘Shanter’ and many more, whose vernacular energy and simple beauty have ensured lasting popularity. This generous new selection offers Burns’s work as it was first encountered by contemporary readers, presenting the texts in the contexts in which they were originally published. It reproduces the whole of Poems, chiefly in the Scottish Dialect published at Kilmarnock in 1786, the volume which made Burns famous; and it reunites a generous selection of songs from The Scots Musical Museum and A Select Collection of Scottish Airs with their full scores. Comprehensive notes describe the circumstances in which other poems and songs found their way into print, both before and after the poet’s death. The edition also includes some important letters, and a full glossary to explain Scots words. 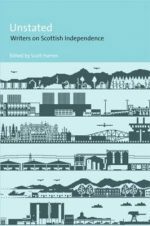 Scotland’s rich literary tradition is a product of its unique culture and landscape, as well as of its long history of inclusion and resistance to the United Kingdom. 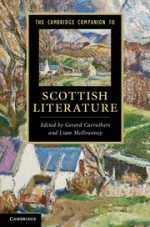 Scottish literature includes masterpieces in three languages — English, Scots and Gaelic — and global perspectives from the diaspora of Scots all over the world. 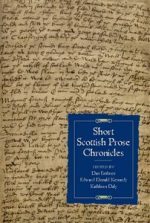 This Companion offers a unique introduction, guide and reference work for students and readers of Scottish literature from the pre-medieval period to the post-devolution present. Essays focus on key periods and movements (the Scottish Enlightenment, Scottish Romanticism, the Scottish Renaissance), genres (the historical novel, Scottish Gothic, ‘Tartan Noir’) and major authors (Burns, Scott, Stevenson, MacDiarmid and Spark). A chronology and guides to further reading in each chapter make this an ideal overview of a national literature that continues to develop its own distinctive style. George MacDonald (1824-1905) is the acknowledged forefather of later fantasy writers such as C. S. Lewis and J. R. R. Tolkien: however, his place in his own time is seldom examined. This omission does MacDonald a grave disservice. By ignoring a fundamental aspect of what made MacDonald the man he was, the critical habit of viewing MacDonald’s work only in terms of his followers reinforces the long-entrenched assessment that it has a limited value — one only for religious enthusiasts and fantasy lovers. 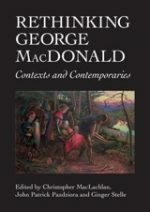 The sixteen essays in this anthology seek to correct that omission, by looking directly at MacDonald the Victorian — at his place in the Victorian literary scene, at his engagement with the works of his literary contemporaries and at his interest in the social, political, and theological movements of his age. The resulting portrait reveals a MacDonald who deserves a more prominent place in the rich literary history of the nineteenth century than he has hitherto been given. Although Robert Louis Stevenson was a late Victorian, his work — especially Treasure Island and The Strange Case of Dr. Jekyll and Mr. Hyde — still circulates energetically and internationally among popular and academic audiences and among young and old. Admired by Henry James, Vladimir Nabokov, and Jorge Luis Borges, Stevenson’s fiction crosses the boundaries of genre and challenges narrow definitions of the modern and the postmodern. Part 1 of this volume, ‘Materials’, provides an introduction to the writer’s life, a survey of the criticism of his work, and a variety of resources for the instructor. In part 2, ‘Approaches’, thirty essays address such topics as Stevenson’s dialogue with James about literature; his verse for children; his Scottish heritage; his wanderlust; his work as gothic fiction, as science fiction, as detective fiction; his critique of imperialism in the South Seas; his usefulness in the creative writing classroom; and how he encourages expansive thinking across texts, times, places, and lives. The four romances in this collection have been unjustly neglected. Indeed, Florimond, King Orphius and Sir Colling were entirely unknown to modern audiences — despite some late-medieval references to the first two — until fragmentary copies were unearthed in the National Archives of Scotland in the 1970s: all three are researched and fully edited for the first time here. King Orphius, closely and significantly related to the famous Middle English romance Sir Orfeo, is supplemented here with the Laing fragment discovered by the present editor in 2010. Roswall and Lillian survives in later prints and was a favourite text of Sir Walter Scott’s — he owned at least three copies of it — but it has not been edited since the nineteenth century. Each text is supplied with comprehensive explanatory notes and an introduction, including full discussion of extant witnesses and circulation history; linguistic and other evidence for date and provenance; literary context; analogues and influences. There is a combined glossary, and an Appendix presents the text of the English Percy Folio ballad ‘Sir Cawline’ as derived from the Scots Sir Colling. The seven chronicles edited here record Scottish history as it circulated in the late fifteenth century and the early sixteenth century in abbreviated and mostly vernacular texts, intended for a broader, less educated audience than was served by the great Latin chronicles of Fordun, Bower, Boece, and their successors. They reflect the greatly expanded literacy of the end of the Middle Ages, and the consequent necessity of educating a broader public in the outlines of Scottish history and contemporary Scottish politics. They build their version of medieval events on Scotland’s foundation myths and exhibit a distinct anti-English bias — indeed, the Scottis Originale began a type of Scottish anti-Arthurian tradition. They thus present an alternative and distinctly ‘Scottish’ view of ‘history’. The chronicles are presented here with with comprehensive notes and glossaries. They are: La Vraie Cronicque d’Escoce, The Scottis Originale, The Chronicle of the Scots, The Ynglis Chronicle, Nomina Omnium Regum Scotorum, The Brevis Chronica, The St Andrews Chronicle. The first contemporary critical investigation since Liz Lochhead’s appointment as Scotland’s second Scots Makar, this Companion examines her poetry, theatre, visual and performing arts, and broadcast media. It also discusses her theatre for children and young people, her translations for the stage as well as translations of her texts into foreign languages and cultures. Several poets offer commentaries on the influence of Liz Lochhead on their own practice while academic critics from America, Europe, England and Scotland offer new critical readings inspired by feminism, post-colonialism and cultural history. The volume addresses all of Lochhead’s major outputs, from new appraisal of early work such as Dreaming Frankenstein and Blood and Ice to evaluations of her more recent works and collections such as The Colour of Black and White and Perfect Days. Thomas Glover arrived in Nagasaki in 1859, just as Japan was opening to the West. Within a few years he had played a crucial part in the overthrow of the Tokugawa Shogunate, providing the rebels with war-winning, Scottish-designed warships, and modern arms. Bankruptcy by the age of thirty was barely a setback and he went on to become a pivotal figure in the rapidly expanding Mitsubishi empire, founding shipyards and breweries. As energetic in his love life as in business and politics, Glover had a string of Japanese mistresses, one of whom inspired Puccini’s Madam Butterfly. 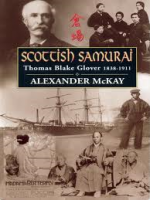 This ‘Scottish Samurai’ was to become an adviser to the Japanese government; he also arranged for many Japanese to visit Britain and see the wonders of the industrial revolution, a lesson they enthusiastically absorbed. Today, Glover is regarded as one of the founding fathers of the Japanese economic miracle.